Is there an advantage to mixed-age classrooms? Does my child need to attend 5 days a week? Yes. We believe the benefits of a five-day program are immeasurable! Children love exploring, discovering, experiencing their environment. Doing this takes time. We live in a such a fast paced world - we want results and mastery immediately in the time frame we want. However, children grow and develop at their own pace. They love to learn by exploring and deeply concentrating on their chosen activities. At JMS we offer them the freedom to repeat those activities without interruption until they master them. 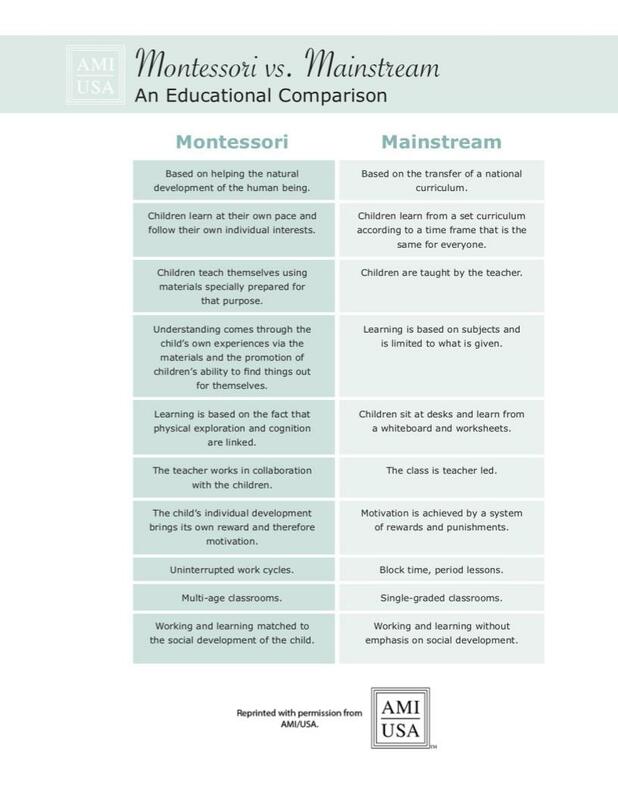 The Montessori environment offers quality, purposeful work for children to engage in. Each day they are presented lessons that are age appropriate and will stir within them a love of learning. Being in the classroom for five days, allows the process of learning and discovery to continue more consistently as well as giving them the opportunity to choose many interesting activities and work. A five-day Montessori environment allows the natural pace of a child's learning to happen. Additionally, the more time children spend in the Montessori environment, the more time there is to build strong focus and attention skills as well as longer work cycles. This development is critical to children's success as they continue on with their schooling. Think about when you are engaged in a project you are enjoying and what it feels like to have it disrupted. Is there a lunch service? Families are asked to bring their own peanut-free lunch.